If any of you have daughters, nieces, etc. 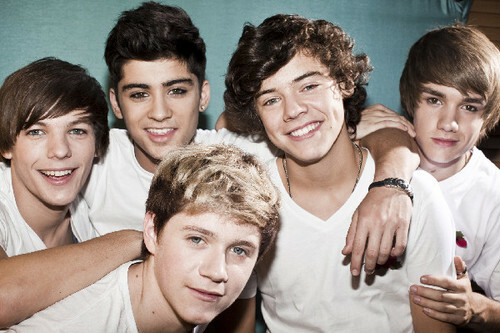 under the age of 18 then you probably have heard of the boy band, One Direction. My niece Kennedy is a huge, huge fan of this group. If she could, she would be president of their fan club, quit school and follow them all over the world. These guys really do have an interesting story. A few years ago they had not even met. Turn back the clock to July 2010 and auditions for the UK’s X Factor were underway. Five young boys from various parts of the UK and Ireland had entered the competition with nothing else but a passion for singing and raw talent. Their names were Niall (from Westmeath, Ireland), Zayn (from Bradford), Liam (from Wolverhampton), Harry (from Cheshire) and Louis (from Doncaster) and they had all entered as solo artists. Arriving to their individual auditions, they were given the task of impressing the judges. And they did. But just not quite how they imagined. It was during the Bootcamp round of the competition that Simon Cowell, Nicole Scherzinger and Louis Walsh had to give the boys the bad news that they hadn’t made it through as solo artists. They were devastated, but they were offered a suggestion. The judges wanted them to form a group; to learn to sing as a five-piece rather than individuals. The boys jumped at the chance and One Direction was born. Simon Cowell joined this boys into one group. and 1 guy from Ireland? Of course I am going to be into anything my niece is interested in. I might as well make her a quilt. So here is my One Direction Quilt top. on each of the flags. I thought this was perfect timing to show this during the London Olympics. of Busy Bee Quilt Designs called Victory Garden. I must admit the Irish flag was my own design. Ya okay, it is three strips of fabrics. Kennedy and I may have to go into business selling these quilts. maker of One Direction quilts. 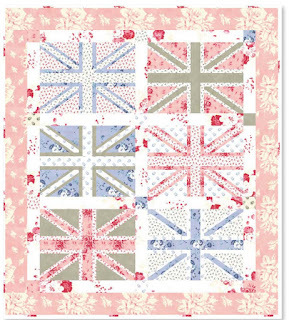 One side note– I must really like the British Flag becasue I have also made one using a Cabbages & Roses line of fabric. Wouldn’t this quilt make a precious baby quilt for Prince William and Kate? the One Direction tour scheldule. What a great story! I do hope you find someone who knows one of them personally. It would be so great to have it signed! The cabbage rose quilt is beautiful! Your quilt is wonderful. I am sure it will get to them one day to be signed. I have to admit I had to google One Direction because I had no idea who they were. Sad. 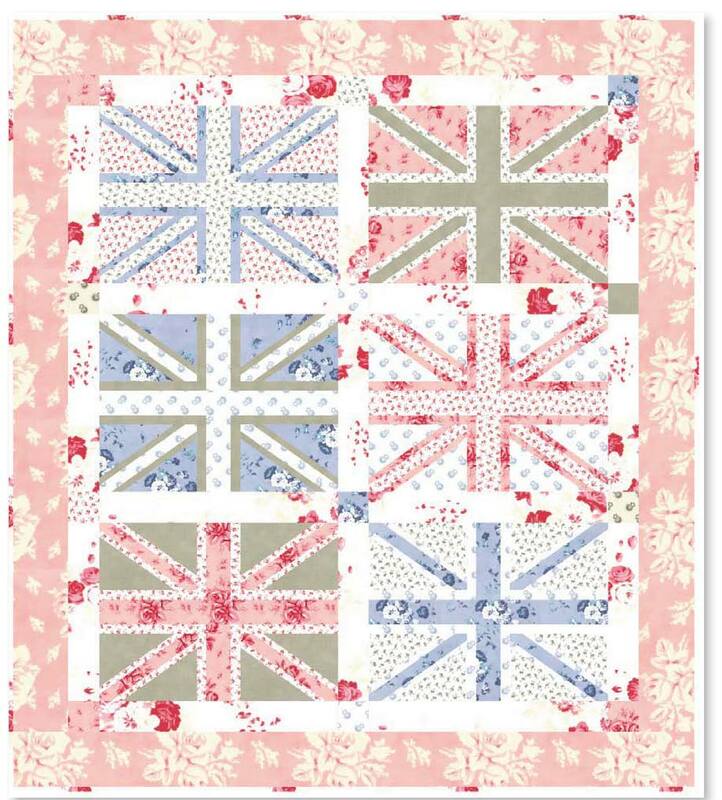 I just bought the Victory Garden pattern to make a "London 2012" quilt…but I haven't been able to decide on fabrics…of course one of the "Cabbages & Roses" collections is the perfect idea…thanks for solving my dilemma! I bet your niece will love her quilt! What a great post and I love the Cabbage and Roses quilt!! That is too cute! My niece is a fan as well and I sent the link to my sister. Her response: Yes, Gracie loves One Direction. "Baby you light up my world like nobody else blah blah blah" I have to listen to it in the van all the time. You have one lucky neice and your quilt is lovely. I'm a boy and I like no direction. Deal with it! On a side note I also love the quilt.